With Fashion Design Lookbook, artists, fashionistas, and aspiring designers alike will discover how to draw and paint stylish looks in a variety of media, step by simple step. Fashion Design Lookbook is the quintessential resource for today's young, fashion-forward artist. With myriad colourful, trendy styles to draw or paint in a variety of media, up-and-coming designers and aspiring illustrators alike will learn how to develop and hone their skills in the pages of this inspiring book. 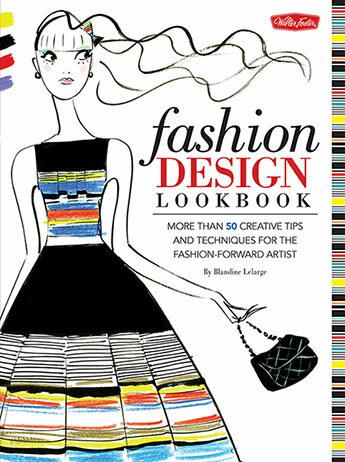 Featuring more than 50 tips and techniques for rendering stylish, fully-accessorised 'looks' in mediums including: graphite pencil, markers, coloured pencils, ink, watercolour, pastels, acrylic, and gouache, this title provides a comprehensive artistic experience within the world of fashion. The book opens with a brief overview on how to use each medium, before moving into an introduction with helpful techniques for achieving correct proportions, and creating hairstyles, textures, and patterns to pair with each finished "look." Next aspiring artists will learn tips for drawing and painting several stylish accessories, such as sunglasses, heels, handbags, and clutch purses. The remaining sections feature curated looks with corresponding step-by-step instruction; a collection of themed style personas ranging from couture to tennis wear; followed by seasonal ensembles coordinating with the fashion calendar - whether heeled, knee-high boots and quilted leather gloves in winter, or patterned espadrilles and a silky head-wrap scarf in spring. Finally, aspiring designers will find inspiration for mixing media to create a unique, edgier look, with examples including coloured pencils with markers, and watercolours with pastel. 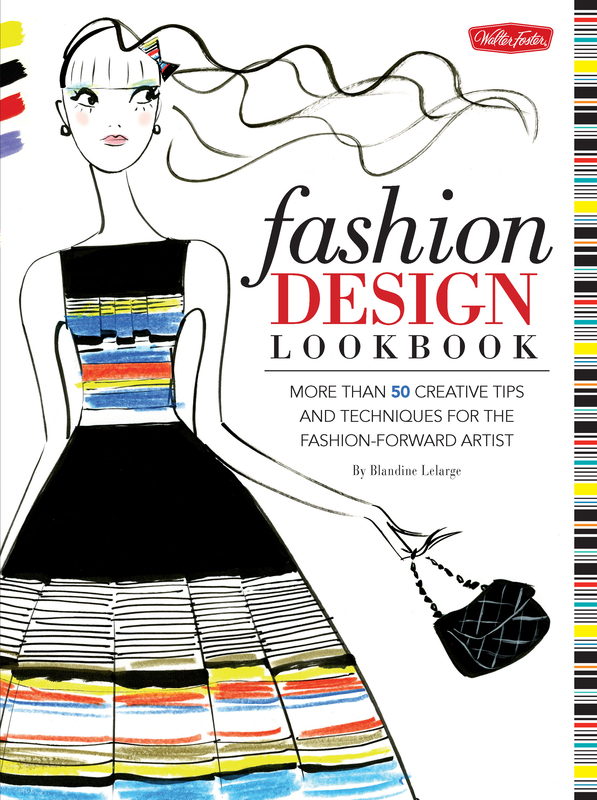 Perfectly on trend from start to finish, Fashion Design Lookbook is sure to delight and inspire any style-savvy artist! Blandine LeLarge grew up in Lyon, France, where a love for drawing led her to the La Martinière Terreaux School of Applied Arts. After arriving in Paris to join the school of Art Olivier de Serres, she quickly turned to fashion design. For the past 20 years, she's worked as a freelance illustrator specialising in advertising and publishing work for fashion and women's magazines.